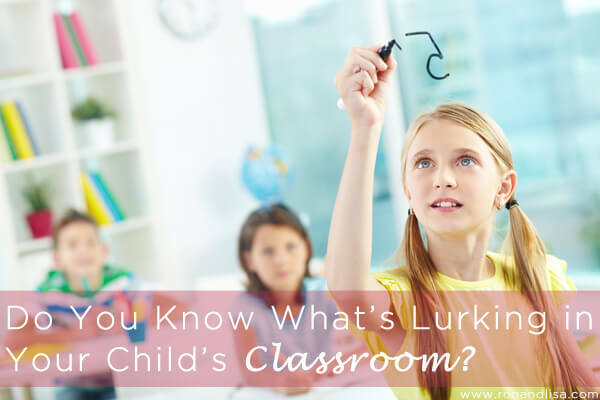 Do you know what chemicals are lurking in your child’s classroom or daycare environment? Hold on to your number two pencils because you’ll be shocked to discover that 25% of the chemicals in school cleaning products have been linked to cancer, asthma, and other health issues! According to the Environmental Protection Agency (EPA), over 50% of America’s schools have poor indoor air quality. The reality today is that the school environment is fraught with substances that are potentially harmful to children. Chemical culprits can be found in everything from construction materials and snacks to pesticides, lunches, and hand sanitizers; potentially harming kids at crucial developmental stages. We’ve discussed the dangers of PVC-laden, back-to-school supplies in our prior post. Learn about the health hazards in America’s schools and what you can do to protect yourself and your precious, carpool-cargo. Our friends at Healthy Child Healthy World have created this fantastic tool below titled Healthy Schools. Find solutions to the specific concerns HERE on our site, or become an advocate at your child’s school and learn tips to reduce toxic exposures by visiting the Healthy Child resource center.